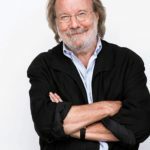 Benny Anderson is a Swedish musician, composer, member of the Swedish music group ABBA (1972–1982), and co-composer of the musicals Chess, Kristina fran Duvemala, and Mamma Mia!. For the 2008 film version of Mamma Mia!, he worked also as an executive producer. Since 2001, he is active with his own band Benny Anderson or kester. "If we thought it would improve our relationship, we would get married tomorrow, but as it is, nearly 7 years after we got engaged, we are content to wait."